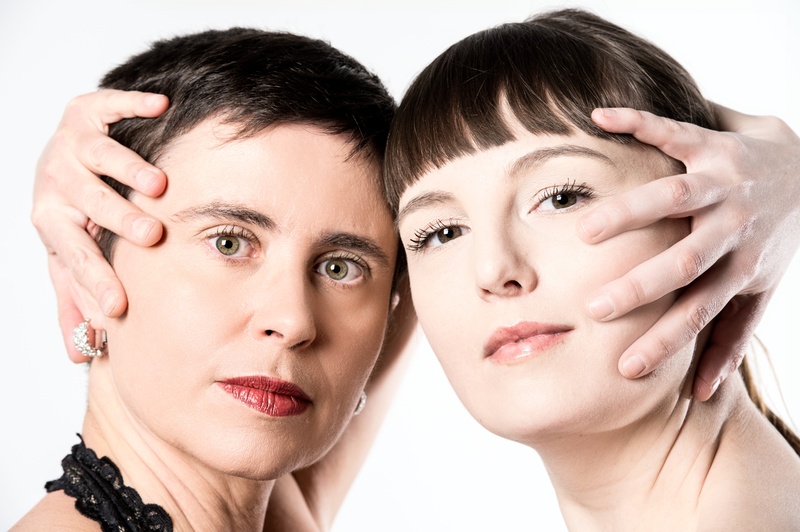 Taking its name from the majestic Rocky Mountains of Canada, the rockeys duo is a unique collaboration between harpsichordist Katelyn Clark (Montréal) and pianist Luciane Cardassi (Banff). Exploring the unexpected combination of piano, harpsichord and electronics, the duo seeks to discover the possibilities of their keyboard instruments through performance, improvisation, and commissioning of new works. 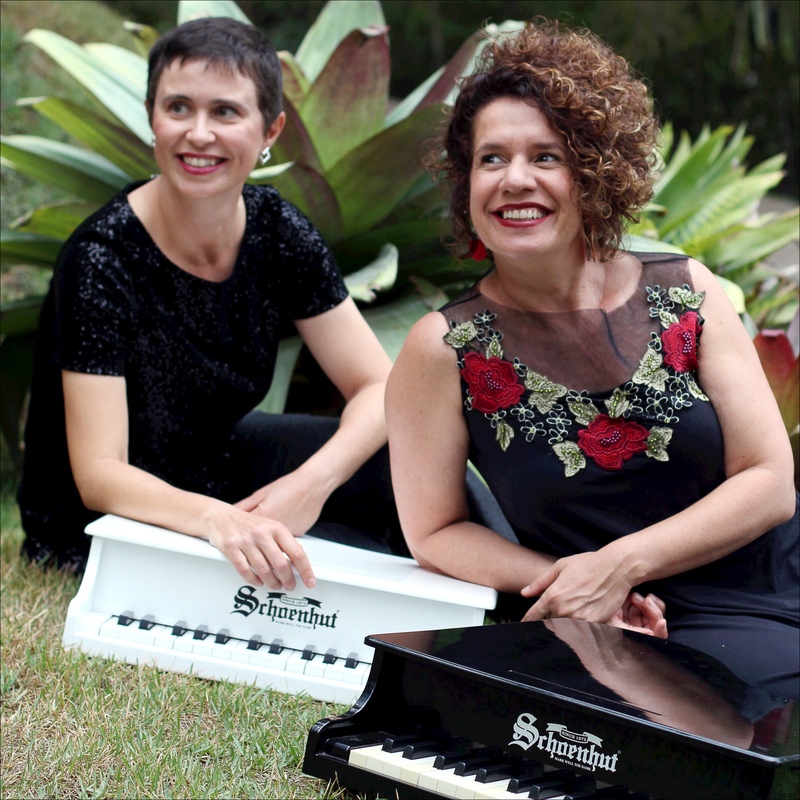 Contemporary music duo for piano 4 hands and electronics with Brazilian pianist Ana Claudia de Assis. 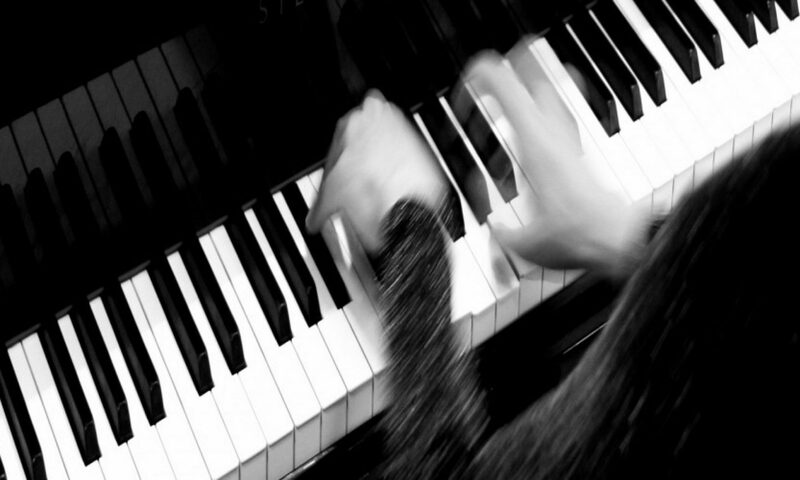 The duo has invited 5 Brazilian composers to write pieces for this project. Premiere of the duo was in October 2014, followed by concerts in Belo Horizonte, Goiânia, Salvador, Vitória, and Florianópolis. In November 2015, Duo CardAssiS had its first tour abroad, having performed at the “Festival de Música de Morelia Miguel Bernal Jiménez” and at the “XII Festival Internacional Música Nueva Monterrey”, in Mexico. A collaborative project with composers from Brazil and Canada writing pieces for piano, pianist’s voice, electronics and video. First cycle of Going North was premiered in October 2010 and presented in several venues in Canada, Brazil and the U.K. Going North 2 was premiered in January 2013. Going North 3 planned for 2017. 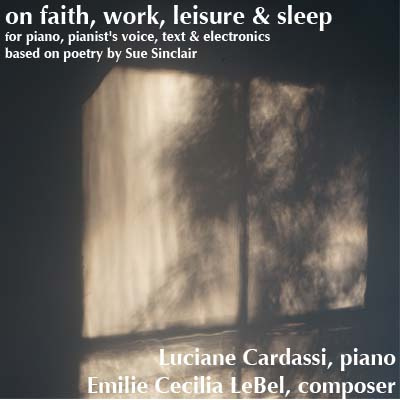 A collaborative project by composer Emilie LeBel and pianist Luciane Cardassi. An interdisciplinary project that combines music, text, and visual arts, this series of pieces is designed to be presented together in a recital length concert, or as individual pieces. The themes, titles, and text used in this project are from Breaker, a collection of poems by Canadian Poet Sue Sinclair. Audio recordings of these works can be found here. A collaboration with video artist Leila Sujir in the creation of a 3D interactive live transformation of her video Tulipomania/Day-old Venice triggered by performanceof Sciarrino’s “Perdutto in una città d’acque”. This work about water, slowness and the city of Venice is a tribute to Luigi Nono. Calgary-based Rubbing Stone Ensemble is dedicated to the highest artistic standards of new music performance. With a special focus on commissioning new works and featuring local musicians and composers, Rubbing Stone Ensemble strives to nurture the musical environment that surrounds it. First CD of the Rubbing Stone Ensemble was released in 2015.